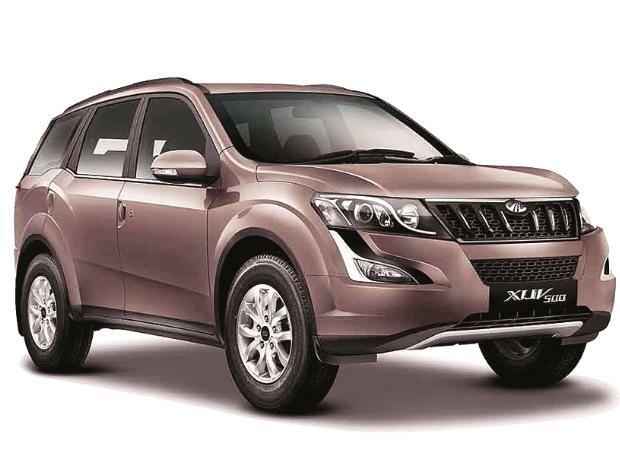 Bigger sedans and sports utility vehicles (SUVs) will cost more now, as the Cabinet on Wednesday cleared an ordinance to increase the cess ceiling on these vehicles to 25 per cent from 15 per cent. The exact increase in the cess will be taken up by the GST Council, which will meet on September 9 in Hyderabad. It is widely speculated that a maximum cess of seven per cent will be applicable. A decision to raise the cess was taken after the Council found taxes on these cars were lower under the GST regime than under the earlier indirect taxation system. The move would impact almost every carmaker. A price hike could bring down the growth of luxury car segment by up to 10 per cent, said experts. R S Kalsi, senior executive director (sales and marketing) at Maruti Suzuki, said there would be more clarity when the exact cess is decided on September 9. “The increase would have to be passed on to customers. We had passed on the benefits when taxes had come down due to GST.” Kalsi added there would be some impact in the "price sensitive" market. 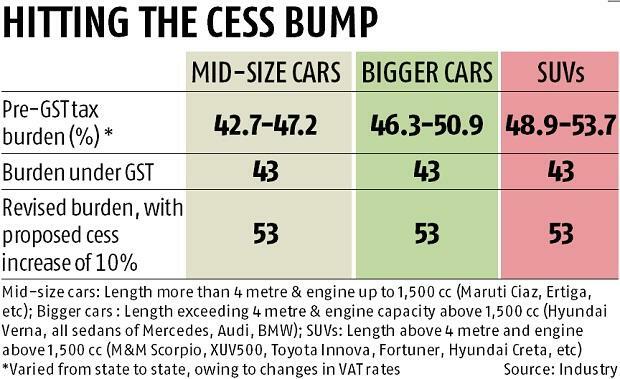 A higher cess would reverse the price-cut benefits that firms had passed on to buyers of mid-sized and luxury sedans as well as SUVs when the GST rates were first announced in May. Toyota’s Fortuner, for example, had turned cheaper by Rs 2,17,000, while Innova by Rs 1,00,000. Most luxury cars had turned cheaper by 8-10 per cent in many states. Roland Folger, managing director and chief executive officer of Mercedes Benz, said the luxury industry was already highly taxed. “With the higher cess, the industry is going to decelerate. We reiterate, this decision, contradictory to the requirement of creating a sustained demand for the luxury car in this market, would rather affect the growth momentum adversely. We sincerely hope the government realises that luxury industry in India has the potential to create attractive jobs, enhance manufacturing prowess and contribute to GDP (gross domestic product),” he said. Industry players want the government to wait for a few months to evaluate the GST collections before implementing the Cabinet decision. Pawan Goenka, managing director at M&M, said the cess increase was on “expected lines”. “What is critical to the industry is when, how much and on what criteria will the cess be increased? The industry has made a representation to the government." The luxury carmakers had reworked growth plans for 2017 after a flat performance in 2016, owing to demonetisation and a ban on 2,000cc diesel cars in the National Capital Region for the first eight months of the year. A little over 30,000 luxury cars are sold in the domestic market every year and this forms just one per cent of the total passenger vehicle market of 3 million units. "Expansion in demand would have enabled further investments in local manufacturing and job creation across the supply chain, including more people in factories, showrooms, workshops, etc. We earnestly hope that the GST Council will give due consideration to this matter, and desist from raising the cess,” said Rohit Suri, president and managing director, JLR India. Reacting to the news, M&M’s stock closed at Rs 1,360 on the BSE, down 1.28 per cent, even as the benchmark Sensex was up by 0.82 per cent.